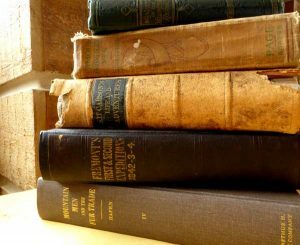 The Museum of the Mountain Man has an extensive collection of rare and out-of-print fur trade history books available by appointment for those interested in researching the era. Many generous fur trade enthusiasts have donated their collection of books to the MMM. The two most recent donations expanded our library and research materials on the Pacific Northwest Fur Trade history. With more than 9,000 volumes, the MMM’s library allows the avid fur trade history researcher to benefit from a wealth of information. To schedule an appointment call 307-367-4101 or email director@mmmuseum.com.